Gold prices edged lower in early Asian trading on Tuesday, leaving 3-½ month peaks behind but remaining a strong positioning ahead of President Trump’s speech later in the day. On the Comex division of the New York Mercantile Exchange, gold for April delivery fell 0.44 percent to trade at $1253.20 a troy ounce as of 00:40 GMT. The yellow metal have posted relevant gains as market participants moved into safe-haven assets such as gold anticipating the Republican leader address before the Congress at 21:00 GMT. Analysts are expecting further details on the tax reform and deregulation actions. Trump words will be in focus during the evening, but gold prices are also supported by upcoming political events such as presidential elections in France, Germany and the Netherlands. As well as Fed Chair Janet Yellen speech scheduled on Friday. 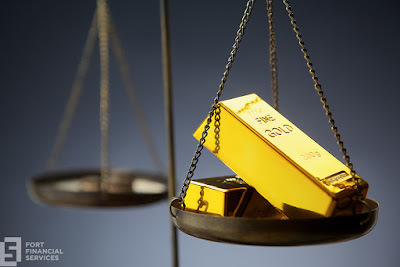 The precious metal is sensitive to changes in US benchmark rates, which elevate the opportunity cost of keeping non-yielding assets in portfolio. Also, higher rates boost the dollar against other currencies, making greenback-denominated gold more expensive abroad. On Monday, Dallas Fed President Robert Kaplan defended the idea that raising rates should be done rather soon. His dovish approach to the matter gave a little upside push to the dollar. In economic news, the Commerce Department reported a 1.8 percent build in durable goods orders, a tick above market forecast. Ahead on Tuesday, traders will keep an eye on fourth-quarter gross domestic product and goods trade balance for January at 13:30 GMT. Conference board consumer confidence index for February will be released at 15:00 GMT. FOMC members Harker, Williams and Bullard are due to speak in the evening. Oil prices were higher in Asian trade on Tuesday, extending moderate overnight gains despite worries that a larger US oil output would undermine OPEC-led cuts to push quotes up. US West Texas Intermediate oil futures traded at $54.09 a barrel on the New York Mercantile Exchange, up 0.07 percent from its previous settlement. The London-based Brent crude oil futures was down 0.13 percent to trade at $55.86 a barrel as of 00:40 GMT. The American Petroleum Institute is due to release its weekly crude production stockpiles report, which comes a day earlier than official data from the US Energy Information Administration. Analysts are foreseeing a 2.85 million barrels build in crude inventories, a 2.00 million reduction in gasoline stockpiles and a 916 thousand drop as for distillate products. Oilfield service provider Baker Hughes said on Friday that US shale oil producers added 5 rigs in the week ended February 17, which moved the total count to 602 units. Increasing US output pressures oil benchmarks, as traders believe it puts in risk the efforts made by OPEC and non-OPEC members, which are reducing their production by 1.8 million barrels per day during the first six month of the year. Genscape reported on Monday an increase of more than 800 thousand barrels of crude oil at the Cushing storage hub in Oklahoma. News supported both benchmarks and helped them settle in green territory by the end of session.